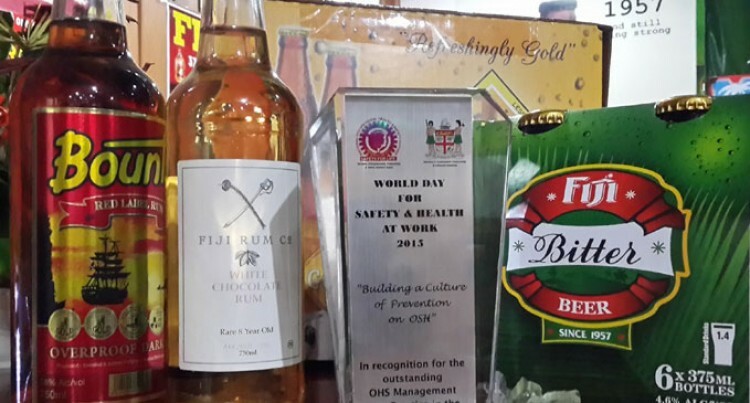 Coca-Cola Amatil’s Fiji-based Paradise Beverages was recently awarded Best Practice in OHS Management for the Corporate Category by Fiji’s Ministry of Employment, Productivity & Industrial Relations. The award coincided with World Day for Safety and Health at Work. It came just days before the Fijian team celebrated one year LTI (lost time injury) free at the Suva Brewery, adding to a three-plus years LTI free record at its other production site, the Lautoka Distillery. Shane Richardson, CCA’s managing director of Alcohol and Coffee, said: “This is a milestone achievement for our general manager Tony Scanlan and the rest of the Paradise Beverages team. “It is testament to their hard work in ensuring a safe work environment and looking after the wellbeing of themselves, each other and their visitors. “Safety is of paramount importance to everyone and everything we do at CCA. The Suva Brewery employs 119 people and produces Fiji Bitter, Fiji Gold, Vonu Pure Lager and Fiji Premium, as well as a range of Ready To Drink (RTD) products including Bounty Rum and Cola, and the Tribe range. The Lautoka Distillery produces the award-winning Bounty Rum range. Other Paradise Beverages facilities include its Samoan Brewery (home of Vailima Beer, Samoa’s biggest selling beer) and the Lautoka Distribution Warehouse.